For city-dwellers, an assured availability of nutrient-dense organic food at affordable prices is never certain. All the farm produce comes from distant farms and hence rarely very fresh. There is no certain way of verifying that it is organic and hence worth its astronomical price. However, what if such farm produce were available at your fingertips, absolutely affordable and direct from the gardens? This is, in short, the essence of micro-gardening. Micro-gardening is widely catching on with many urban settlements. It is the solution for city dwellers who still want some excellent organically grown produce. Micro-gardening is a self-serving practice of growing every-day food such as vegetables, fruits, roots-tubers, micro greens and herbs within limited space. This could be your own balcony, a window sill or even a space of few centimeters. It uses resources easily available at your home which not only makes this practice economical but also sustainable over the long term. Here is a closer look at micro gardening. Micro-gardening allows growing abundant greens within space as less as a few centimeters. This is achieved through techniques such as vertical gardening, hydroponics – which is the technique of growing plants without soil, aeroponics – which is the technique of growing plants in the air without soil by using hanging tools etc. Thus, perfect for an urban dweller constrained by space. You can grow your own garden in your balcony, on a tabletop, on a small ledge, loft, window sills or even over the area of a few centimeters! Micro-gardening requires very less amount of initial soil input. The soil is further enriched by the use of compost made from the kitchen waste. This rich manure offers adequate nourishment to the soil, to produce nutrient-dense food, from which the waste can go back to composting. Thus, it is a self – enriching, self – sustaining chain. Water is a key resource for traditional agricultural practices; however, micro-gardening uses very little water. It was estimated by FAO (Food and Agriculture Organization of the United Nations) that every 1 square meter of a micro-garden dense with plants will require only 3 liters of water per day and thus only 1 cubic meter of water per annum. This also will help conserve the water for the ever-growing urban population. By using micro drips that are designed such that excess water is reutilized, rainwater harvesting etc., It is possible to save every single drop of water. Micro-gardening has been successfully used to produce a variety of every-day vegetables and fruits such as pepper, lettuce, eggplants, tomatoes, strawberries, various citrus fruits, herbs, microgreens, even watermelons; thus, indeed making it a really useful and practical way of obtaining organic farm food that is immediately accessible. In the process of growing food in these gardens, no pesticides are used, no chemical fertilizers are used. Use of natural fertilizers and organisms to enrich soil makes it an authentic organic activity. What’s more, as consumers of this food, we are assured of its organic nature. Micro-gardening does not require the use of specialized resources, spaces or containers. Most of the required inputs are available at home. Containers required to grow plants could be anything including repurposed kitchen plastic containers, broken pipes, used tires, crates, or even empty Styrofoam boxes. There is no requirement for special tools. Optimal use of water, soil and in-house fertilizer all make it an extremely affordable activity. Less use of all the resources added to the fact that it can work with the repurposing of various containers also makes it environment-friendly. Items such as Styrofoam that cannot be recycled are a burden on the environment, and they can be used productively here too. Water is optimally used by developing micro-drip systems so that any excess water can be redirected back to the garden. After initial set up, the maintenance requirements or follow – up activities are next to none or minimum. No specialized technical know-how is needed. It also does not use intensive labor like in traditional farming. Thus, making it possible to be practiced by anyone. If carried out on a larger scale, it can also be used to monetize and cater to the growing need for organic fresh farm produce in urban settlements. In short, micro-gardening is the answer for many existing and upcoming concerns of the urban dwellers and the ideal fit for those who want to enjoy organic food, afford it and grow it effortlessly. Try your hand at micro gardening and see what vegetables that you can cultivate. Where to buy cheap gardening tools? Gardening can be a therapeutic and relaxing form of activity, especially if you enjoy being around plants and working with your hands. Using the right kind of gardening tools not only makes your work easier, but also helps you to create the perfect garden you have always wanted. Gone are the days when digging sticks were used in the garden, as those have now been replaced by specialized tools now. Whether you are a beginner or an expert gardener, it is important to do a little homework before investing in gardening tools. Let us highlight some of the best places to buy affordable gardening tools so that you can get everything you need as you stay on the budget. One of the oldest retailers in the US, Plow & Heath has an amazing collection of garden tools & supplies. If you are low on budget or are even open for splurging, then this is the right place for you. They also have customization options for various products, like adding a name or quote to get that personal touch. Pricing here starts from as low as $19 and can go up to $199 or more according to your budget. Other than gardening, they also sell indoor and outdoor living products at reasonable costs. With 2 stores in Vermont and in Lebanon as well as an online shopping website, Gardener’s-Supply Company is a gardener’s paradise. Yes, you heard that right! From watering cans and accessories and plants supports to pesticides and garden tools, there is everything all under one roof to make easy gardening. Their online shopping website also has blog section with articles thoroughly explaining more on gardening. Not just that, their Gardener’s Club allows you a chance to be a member and be able to enjoy great benefits. What else do you need when you have got it all sorted here? Known for the best quality gardening products, which are made of stainless steel as well as aluminum and finest metals, Garden Weasel has multiple stores in different states. Though a little limited on product range, they offer you good warranty on each of their products. Few of them include cultivators, edgers, weeders, pick-up tools and even hand tools, covering most of your gardening needs. One of their most renowned tools is the Original Garden Weasel that has a 5-way cultivating tool to it. Also, most of their tools come with lifetime warranty so that you enjoy working with their tools and never have to worry about them breaking. Black+Decker has a global presence as they ship internationally as well other than owning the US Stores. The brand has products for various departments like pets store, home cleaning, power tools, and batteries. They also have accessories other than the lawn & gardening gears. You can buy equipment here as per the area you have because their products can cater to both the lawn and garden. Reasonably priced, the tools are powerful with less manual work required, thereby saving your efforts altogether. So shop here if you are simply in favor of easy gardening! Lowe’s is another one-stop solution for all your gardening, outdoor, home, as well as indoor modifications. Every department here is well organized to create hassle-free task for any type of activity. Lawn & Garden being just one of their sections out of the wide directory of products, Lowe’s is totally worth your money. Present both online and offline, Lowe’s is a comparatively inexpensive retailer as compared to the rest. Since both price and utilities are taken care of well, Lowe’s is the right place for quality and quantity both at the same time. Again a global shopping online website, the tools you find here are ideal for any kind of budget. Those who are just too lazy to visit the store buy it online from Amazon. Quick delivery of products along with affordable pricing makes it the most preferred online shopping destination. As most of the gardening tools for both manual and electrical use are present on Amazon, customers love shopping here. You can never go wrong shopping here without getting lost. Yes, Walmart is one such place where you find it difficult to choose as there are broader options for every product category. Gardening tools here start as low as $13 and so you can make a selection according to the brand you prefer. Since many brands are available here, you can get the best of everything here. We hope you liked our list of some of the top places where you can purchase cheap gardening tools. The best part about most of these retail outlets is that they have an online presence too….just in case you fancy making orders from the comfort of your couch. A house is the pride of an individual. The way you keep your hose describes a lot about your identity. Hence there is a craze among all the people to keep the house a tidy as much as possible. However, in this busy, it is very difficult to make that possible. No matter how busy our life is there must be a sufficient way to keep the house clean so that anyone that visits the house feels at home and doesn’t feel awkward. The house is yours so it is your responsibility to keep it clean. If you have a busy schedule then there are normally two ways to keep the house clean. Both of them are described below. The first obvious thing is to do the task yourself but with modification. However, there are two things that you can use. Involve the whole family along with you: Taking out an hour or two may be difficult but involving all the members of the house can reduce the time requirement significantly. There is no rule that one respective person has to do the cleaning. The cleaning can be distributed. If you have four people in the house including your children then half an hour each equivalent to two hours. This would have the task done faster and would be less hectic for an individual. You can also the children to remove the clutter to the basin after they have their food and you can have them cleaned. Distributing the task can be a great thing as this would also increase a bond within the family. Ask every member of the family to make their beds themselves. 5-10 minutes won’t create much of a differing schedule. Weekly task: Scheduling the task weekly can be a great way to solve the problem. It may be difficult to do all the cleaning in a single day but to distribute the cleaning depending on the week will help you keep the house clean. Make a list of list of the thing that you would do every day and follow that. Try to maintain a list of that cover every aspect of the clean and fail in the attempt. If done so then it would be piled up and eventually be a hectic thing for you. If you become very tired after the task or you could have any time to pick out time to make the cleanup then you can look for a cleaning service. These services have been trending and are reliable. They look in all kinds of cleaning. With the help of the cleaner you dint have worry about anything else. They come in for the cleaning on the day specified by you and they do the cleaning all at once. This makes you far more relaxed then cleaning it yourself. Both are the ways are perfect if you want to be updated with the cleaning. You can choose the one that suits you the best. You can do the minor cleaning yourself and the heavy one’s through the cleaner. Even when you’re a non-technical user, you can construct a website in under one hour all by yourself. So yes, you can construct a website in under an hour even if you’re not technical (and even from your cellular phone). OK, perhaps you just need an easy website with basic features great! In some instances, your site is the very first impression made to prospective clients. For instance, people who see your website on their smartphones should not need to pinch, zoom or swipe only to see the content. Think about the benefits The pros are what makes nearly all of the people to really think about heading to the ideal site or gardening company. You may set up your site and be on your way to creating your blog with only a few easy clicks. Nobody likes a site that is so busy and distracting they can’t find fundamental details. Moreover, the site delivers a number of resources with a quick list device as a reliable way to rank prospects. On the flip side, if you’re developing a multilingual site, it is important to pay attention that the links are also translated into various languages. You will need a site and some business cards. Therefore, if you want to create a website with tools so easy you may be ready to go in just 20 minutes, continue reading. For beginners, it is wise to adhere to the basics like hot water bath canning and freezing. If so, you’re an expert and we admire you. Longtime neighborhood gardeners could know about the nurseries in your region, including which ones to prevent. The best thing about container gardening is that whether you rent your residence or apartment, you can take your garden alongside you! You can opt to design your garden to mimic the plan of your house, or it doesn’t need to be related to your house whatsoever. Without proper place, it will unable to create a stunning garden. Actually, designing your own garden from scratch is not so difficult. But designing your own website from scratch is! Sure, you may have big plans for your site, but a steady stream of donations can definitely accumulate. The future of internet design doesn’t code The web has been in existence for 25 decades, but we are still trailblazing. You absolutely can earn a shift. During human history, tech progress was made on top of earlier technology. Classic design processes may often be compared to building a home. The results will reveal your mobile and desktop performance and a number of tips on how best to correct the issues if any. There are a lot of choices for a client-side implementation, based on the degree of information and control you want to make available, and the platforms you prefer to support. Not only are you able to damage the site code but in addition cause a Google penalty. You may also utilize available templates to assist with the planning practice. You are able to search the plan through the internet. At first, web design seems to be a type of graphic design. Minimalist design has been popular for some time now and is ideal for authoritative blogs, portfolios and company websites. As soon as you’ve made updates to your website, look at revamping some of your previous content to provide your site a complete overhaul. There are quite a lot of resources that will enable you to design a logo at no cost, and a few of the unicorns in the business will even permit you to download it without needing to pay a penny. Empty walls in your house can be full of varied sizes of famous art prints. Painting the inside of your house or investment apartment increases the worth of your premises. Which is the reason why it is normal to want to repaint the interior of your house regularly to make sure that it’s in tip-top form. Exterior painter ought to choose the most efficient quality of product. Benefits of Hiring Professionals Interior painting projects need a considerable amount of specialized knowledge and practical experience. Careful color selection is vital. Decorating a new house is a challenging project to make an inspiring design. Center of Attraction Painting isn’t only about giving a fresh appearance to the walls. Painting Contractor Bringing the correct Painting Contractor to your house, company or apartment isn’t an effortless undertaking. When it has to do with a painting undertaking, hardwood floors are the very last thing on your mind. Try out painting a modest unnoticeable portion of the floor (below the couch or under the cabinet) to know whether painting it’s a superb idea. There are four standard finishes available that you are able to choose. Renovating a house can be quite stressful particularly if you don’t even understand where and how to get started. Much preparation should be considered before simply applying paint. 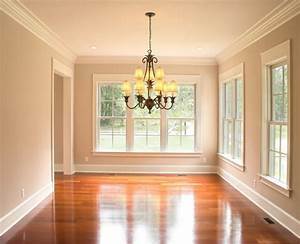 If you would like to drastically improve your home then you will most likely wish to speak to some professional St Cloud area painters that may help you. Furthermore, the face painting websites tell you regarding the precautions, especially while managing the kids. You’ve got to also research comparing the time period where the work would be completed too. The painter would use his experience to ascertain an appropriate mixture based on the essence of the job. It’s possible to hire experienced painters and receive the work done quickly. You don’t need to be a professional to do a fantastic job of painting your house’s interior space. When it has to do with painting, patience is critical. Once you’re able to check at the particular kind of painting, thereafter only it would become simpler for you to acquire the suitable quotation also. Therefore, you’ve got to always consider the certain type of painting which you should get done. Our painting is beginning to be known around Jacksonville and we are pleased to observe that. Moreover, instead of merely contacting a single painter, you’ve got to contact several painters and they’d be able to supply such a quotation for you. You are able to speak to any Del Mar painter and they’d be in a position to supply you with the quotation. They all employ a wealth of painting knowledge and are considered professionals in the industry. You have to at all times make sure that whenever you’re selecting the painter, you have the ability to find a written contract as well so you have the ability to get things done the proper way. You will have the ability to acquire your head at ease. There really isn’t any magic to getting good customers who want the job done and who are delighted to pay. There are millions of paint colors readily available today so you won’t locate any difficulty in locating the most perfect one for your house. The most frequent interior paint designing dilemma is choosing the correct colors for your dwelling. There are a couple areas close to the foundation of the house that we will fix using cement mix. What to Expect From Interior Home Painters? Sometimes you’re just searching for some change in your dwelling. What’s more, if you like to earn your home is unique, you also will need to involve family member to talk about their idea and creativity. Now you have been living in your house for some moment, you are most likely wanting to update with a completely new appearance. If you wish to offer you home an amazing fashionable appearance, you need to be bold. A piece on your house will allow it to be a fantastic focus. Repainting also can be a means to personalize your house and make it feel as though your own. On the regional platforms, you would have the ability to find the reviews of the painting service too. Your house is the one most important investment you could ever make and we hope that you realize that hiring the ideal painting service is vital to the outcome and caliber of your painting projects. You’ve got to at all times make certain that the painters which you’re shortlisting for hiring should have a suitable contractor’s license. Muddy Boots CSA is a collaboration between three farmers—Kingsbury Market Garden being one. Learn about our CSA collaboration. Sign up for lovely, organic produce. Muddy Boots CSA is a joint effort between Kingsbury Market Garden, Burnt Rock Farm in Huntington and Woods Market Garden. It was started in 2012 in Partnership with Pakeen Farm in Canton MA. 2013 saw the opening of a Mad River Valley pickup location at Kingsbury Market Garden. We are pleased to be offering shares again in 2014. The group CSA concept is compelling because it allows the 3 farms to concentrate on growing a few crops well and provides extra security in this world of crazy weather that we are living in. Between the 3 of us there are over 40 acres of crops to choose from and over 2 acres of greenhouses. We offer the most reasonably priced and highest quality CSA shares in Central VT. Our shares start with strawberries and tomatoes and end with black beans and sweet potatoes. Extra salad greens, carrots, potatoes, onions, tomatoes and kale (we are undoubtably the only CSA in the area where shareholders feel like they don’t get enough kale) are available at near wholesale price to shareholders only. In addition to produce, bread shares from Green Rabbit Bakery and a unique dairy produce share from Plowgate Creamery will be available. Kingsbury Market Garden has been growing high quality produce in the Mad River Valley of Vermont since 2010. The main farm is comprised of 6 tillable acres of sandy soils of Kingsbury Farm on Route 100 in Warren. This property is owned by the Vermont Food Bank and is leased to us in exchange for produce. We grow primarily direct seeded crops like greens and carrots at this location. More About our Farm—the partners, the produce, the work. We lease an additional two ;acres from our friends Seth Hanselmann and Serena Fox on the upland plateau along the East Warren Road in Waitsfield. The rich soils and excellent air drainage there are perfect for longer season, heavy feeding crops like onions and winter squash. Our focus is on leafy greens, storage veggies and hot weather crops like tomatoes and peppers. Our produce is marketed primarily through several group CSA projects, local retailers, local restaurants and through processors at the Mad River Food Hub. A large chunk of our crops make their way to food shelves and meal sites via the Vermont Food Bank. Most of these businesses are owned by friends. It’s not uncommon to see chefs and business owners pitching in for a day of planting onions or harvesting carrots with us. We strive for both simplicity and efficiency; Each season we try to figure out what the weakest links are in the chain we have designed and make them stronger. We love the sight of a clean field or a stack of bins filled with crops but what really makes us grin is knowing that meeting that end took a little less time than the last time we did it or that the crop was of higher quality or better yielding. The 22 acre Kingsbury Farm was bought and conserved by the Vermont Land Trust (VLT) in November of 2007. The property was subsequently sold to the Vermont Foodbank (VFB) during the following year. The conditions of the sale were the following: the owners would grant public access along the property to the Mad River Path, they would protect permanent riparian buffers through no-till practice, and the remaining acreage would be used to produce food in an ecologically responsible manner. In the fall of 2009, the VFB put out a call to farmers to submit proposals for the use of the farm. In late December, our proposal was accepted. Under its current structure, Kingsbury Farm offers approximately 7 tillable acres upon which to grow food. Each year, we will commit a portion of this acreage to growing storage crops for the VFB. We will also be working directly with ten regional food shelves to meet their ongoing needs for fresh produce throughout the growing season. Our lease requires us to provide the VFB with 35,000 pounds of produce annually in exchange for the use of the farm land and the infrastructure. Once these terms have been met, we can use the remaining acreage to grow food to be sold “for profit”. The Kingsbury Market Garden is managed naturally; that is without the use of synthetic inputs. We employ crop rotation, green manures, compost application, beneficial insect attraction and close observation to keep the land healthy and productive. We have constructed four movable unheated hoop houses which will enable us to significantly extend the Northern Vermont growing season. We offer early spring strawberries, early tomatoes & late autumn raspberries. We will be harvesting cold hardy salad greens throughout most of the year. Gardens can bring us a refreshing feeling and inner joy. Try looking at the Kingsbury Market Garden in Warren, Vermont. The greens and produce would make you want to have your own farm and garden. Gardening is one of the wonderful hobbies anyone can have. Young and old can benefit from the gentle physical activity especially those with degenerative conditions as it can make them healthy. Even busy and already active people will be de-stressed when they take some time to be in touch with nature. As a family activity, gardening is a great way to bond while teaching the kids about the wonders of nature. Natural miracles happen in the garden. Things grow, prosper and become part of the biosphere. Who do not want to watch flowers bloom and plants grow then bear fruit which we can use or even eat? We can learn valuable skills from gardening, such as patience and making decisions. If you never have gardened before, gardening can be challenging and overwhelming. However, once you get the hang of it, you will realize that it is really not that difficult. Besides, there is a lot of information you can learn from the many available basics of gardening in the internet. Also, it is fine to make mistakes since there is no exact science involved. Just like any endeavor, planning your garden is essential for success. In fact, planning is already half the fun. Many avid gardeners have an entire year planning for their next year’s garden. Imagine a big picture of your garden before even digging. You do not need to dream of a Kingsbury Market Garden, but a realistic and doable one. Arrange and re-arrange plants until you are happy with their placement. Planning includes choosing the right plants for your soil since plants grow better in one type of soil than the other. Is your soil clay, heavy, light or sandy? To be sure, check out the plants that grow well in your neighbor’s garden. After setting up the soil, buy enough plants. Then thoroughly soak the roots of the new plants before putting them in the soil. In planting, make sure to have a hole that is bigger than the root ball since the roots need to spread to absorb the nutrients of the soil. Give the plants enough space instead of being too close to each other or just a few of them will survive. Crowded plants tend to need more fertilizer and watering. They are likewise vulnerable to disease. Since gardeners can easily forget what they have planted, it is suggested you write plant labels next to your bulbs and seeds. Be gentle especially with new plants. If you want to separate a plant from a pot, squeeze the sides of the pot then turn it upside down. Catch the plant with your hand when it slides out. Do this instead of pulling the stems as you may break the plant. Be also mindful when watering. Check out the soil around the plant, poking your fingers about two inches into it. Add water if it is very dry. Plants are created to live outside and get natural moisture from the soil. Unless there is a drought or there are a lot of them in a container, plants do not need constant watering.